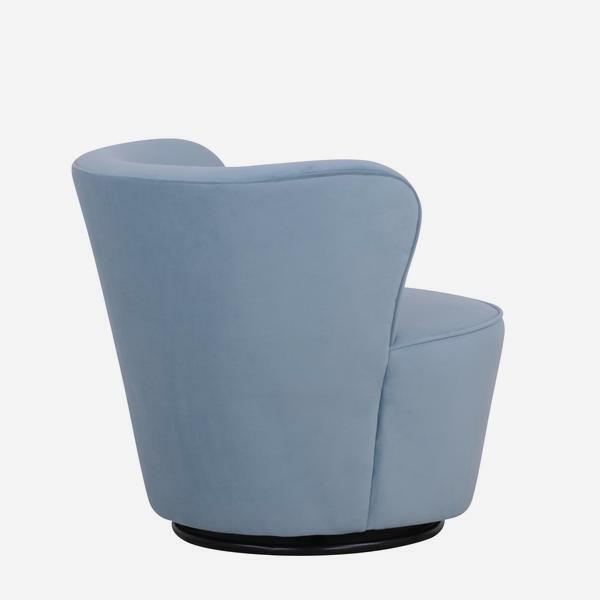 A low standing, mid-century cocktail chair with a fun twist. 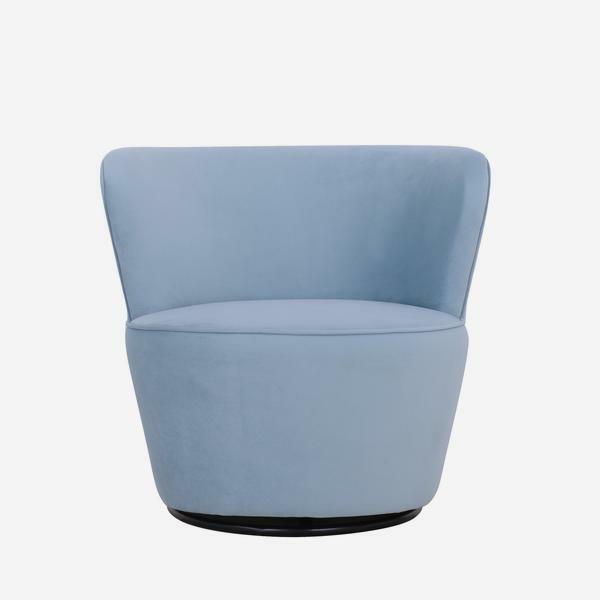 Dorothy embraces you into its curved frame and then spins you round on its swivel base. 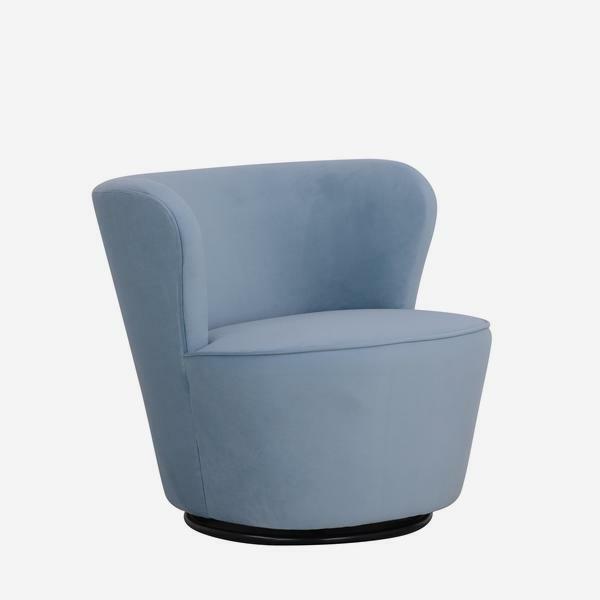 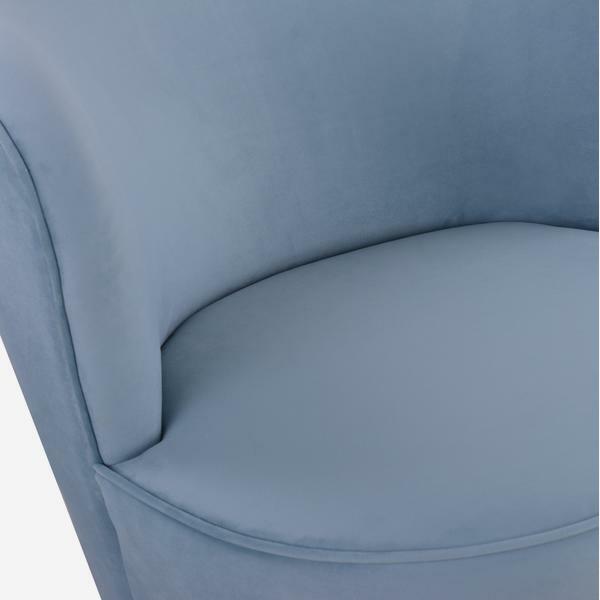 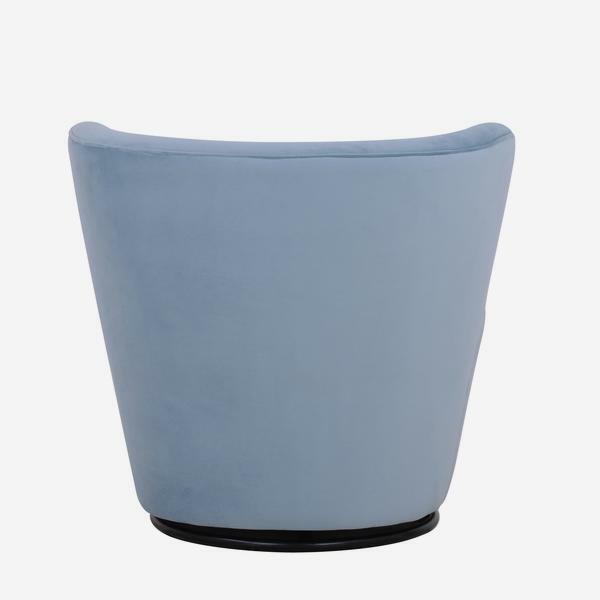 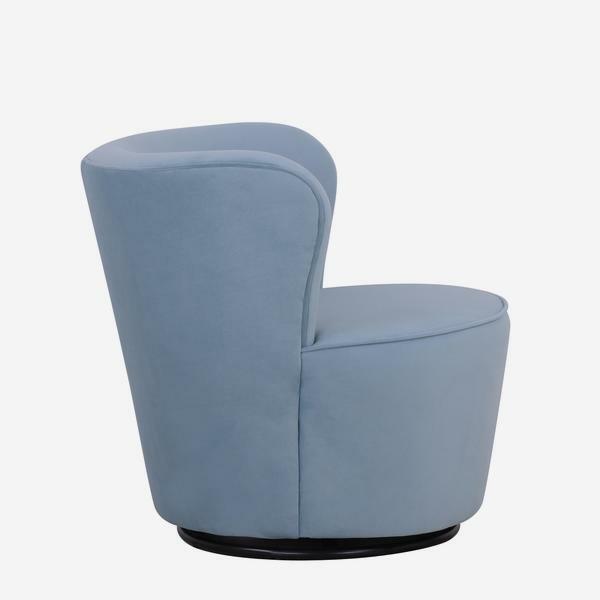 It is covered in our powder blue Houdini velvet and plumped up with a soft cushioned seat and back.